The frame before spray painting. What’s “The Spray Paint Bike Project”? 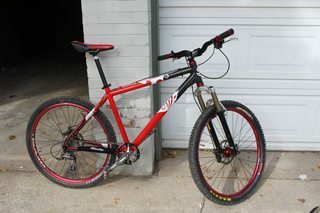 Basically, I made this little site because I decided to paint my mountain bike with spray paint cans. There are plenty of tutorials online for painting cars but not so many for spray painting your own bike. I created this with the intention that you may learn from my mistakes and perhaps perfect the process. Spray painting a bike is fun and gives you that special feeling that you have something that no one else does! Hi. I mountain bike. What do you do? 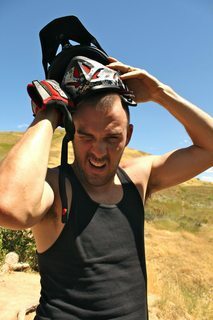 I’m an avid mountain biker that lives in Utah. 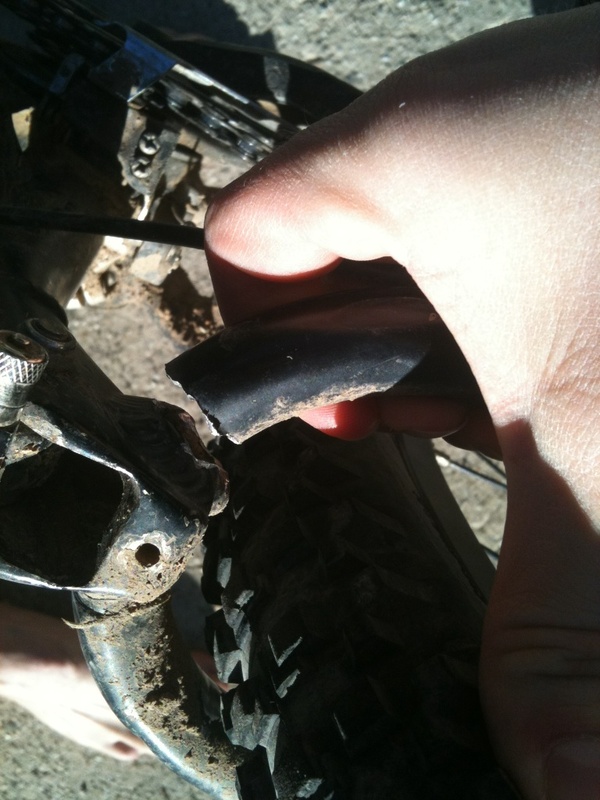 I recently broke some welds on my old ten year old full-suspension frame. Instead of coughing up a few grand for a new frame which I couldn’t afford or trying to get someone to patch together the old frame, I decided to grab this cheap solid-tail frame from pricepoint.com. Now, some of you bike snobs may think you can’t get a quality frame for under a $100.. but after doing some research on mtbr.com, I decided this might not be such a horrible idea. I also ran the idea by a couple of my friends at the local bike shop (LBS) and they said most bikes are made in the same two factories in Taiwan anyway, so there is a good chance it may be coming from a manufacturing plant that was producing some of the big name frames. I wasn’t really thrilled to have a plain black bike. I wanted to spice it up a bit. Besides, I was dying to have a creative project on the side and according to the reviews on mtbr.com, the paint was crappy anyway and had a tendency to chip. decided to repaint his car entirely with Rustoleum paint. It turns out there are a lot of YouTube videos and tutorials that are pretty much in-line with this tutorial for car painting with both the paint on version of Rustoleum and the spray paint version. 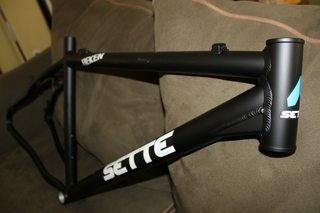 So Iv’e been thinking about getting the rekken frame, and also was wondering about painting it. You covered both of those bases…thanks a lot! I need to find some place to paint my bike . Pls any place ? Great tutorial, but personally I prefered the black. where do i get the stickers for my bicycle (Hercules Roadeo A100)! Can anyone help me out here? Also i needed to spray paint my cycle frame! Looking for a cheap frame, found this article.. Just wondering how your frame held up? Great work btw. Will be looking to do this with mine, paint is usually cheaper than finding a frame the right color anyways. Several years out and it is holding up great! One of these days I’ll post an update. Thanks! Glad you could get something out of it.